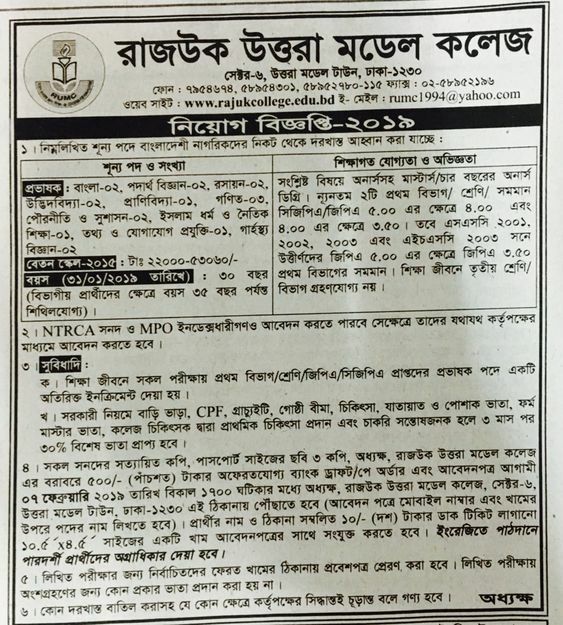 Rajuk Uttara Model College Job Circular. The circular has created chance for the job seekers who basically like teaching profession job. In our website bdjobmarket.com we publish all the educational and not educational institutions jobs, govt jobs, company jobs, job results, job notices and all the job information that you need. If you have required education background, you can apply for the job.